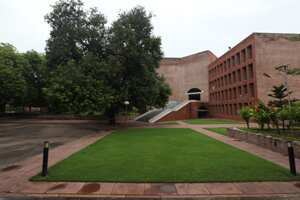 New Delhi: Some leading business schools say their placement season has started on an encouraging note, but the new Indian Institutes of Management (IIMs) putting students in the job market for the first time are apprehensive about the reception they will get from corporate job hunters. Some experts, and company executives who visit campuses of institutes to hire students, say the IIM tag may not be enough for students of the new B-schools to get job offers, given that they are an untested bunch. Even faculty of the IIMs accept that their expectations are modest. “The new IIMs will find it a little hard as corporate (entities) are not very warm. Some of them have indicated that they will not like to visit the campus of a new institute for placement," said P. Rameshan, director, IIM-Rohtak. He said firms will prefer to hire students from older IIMs such as those in Ahmedabad, Bangalore, Kolkata and Lucknow. “It’s a huge task. You have to moderate your expectations and we have told that to our students, too," said Rameshan. “As a new institute, I am getting involved personally and we have to invite more companies. The talk of a slowdown, too, is not a good news for institutes like us as it will affect the sentiment." The graduating batch of IIM-Rohtak has 48 students. Agrees B.S. Sahay, director at IIM-Raipur. “The older IIMs, too, did not got everything in their first year. What you see today is the effort of last few decades." The institute has some 65 students in its first batch. IIM-Bangalore has started its placement process on a positive note, it said. The class of 2012 at the institute has already received 71 pre-placement offers and requests for 37 pre-placement interviews, it said last week. IIM-Kozhikode on Monday announced the successful completion of summer placements process for its 15th batch comprised of 343 students. Leading consulting firm Bain and Co. said its recruitment focus will be on the older IIMs. The company has already given some offers to IIM-Bangalore students. “Top recruiters in India Inc. who hire from the already-established top IIMs like Ahmedabad, Bangalore, and Calcutta, may wait to see how these new batches from the newer IIMs perform in the companies that hire them," said Sudarshan Sampathkumar, a partner at Bain’s industrial practice in India and leader of its recruiting programme in the country. “After all, it takes years of institution-building and proven excellence to acquire the highly deserved reputation of A, B and C (IIMs at Ahmedabad, Bangalore and Kolkata), and that is why Bain focuses its recruiting efforts on these three outstanding institutes," he said. Narayanan Ramaswamy, partner and head, education sector, at consulting firm KPMG Advisory Services Pvt. Ltd, said the new IIMs “don’t have the richness of faculty, case studies, alumni network, and they lack industry linkage. But with time, they will also emerge".